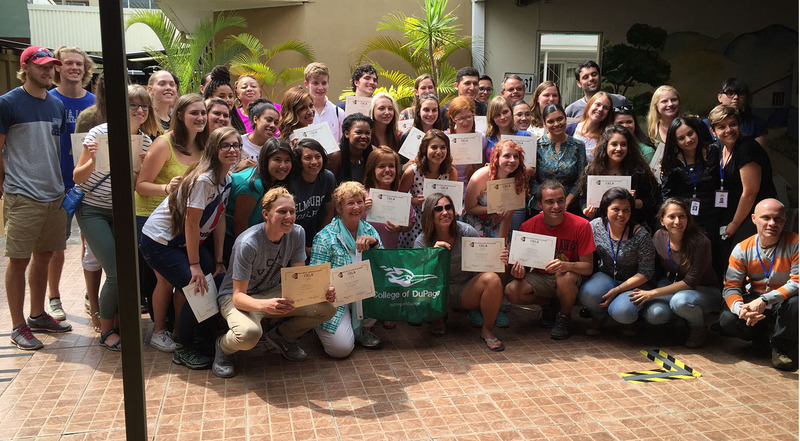 ICISP offers a summer language immersion program in San Jose, Costa Rica. Adventure awaits as you explore beautiful Costa Rica, a rugged Central American country with numerous rainforests and scenic coastlines on both the Caribbean and Pacific oceans. Although its capital, San Jose, is home to cultural institutions like the Pre-Columbian Gold Museum, Costa Rica is known for its beaches, volcanoes, and biodiversity. Roughly a quarter of its area is made up of protected jungle, teeming with wildlife including spider monkeys and quetzal birds. At the Costa Rican Language Academy (CRLA) in San Jose, students study Spanish in small classes with native speakers. This total immersion experience includes family home stays and excursions to places such as Manuel Antonio National Park, Arenal Volcano and La Paz Waterfall Gardens. Students enroll in 6-7 credits at their home institution. Spanish is offered at six levels: Beginning I/II, Intermediate I/II and Advanced I/II. Students also enroll in Culture and Civilization of Costa Rica, which combines classroom lectures with experiential learning through local excursion to museums, historical sites and wildlife preserves. No previous study of Spanish is required. Included in the program are numerous excursions throughout San Jose and the surrounding areas. Visits to the Central Valley, Heredia and a coffee plantation, the Atlantic Watershed and a banana plantation, Zarcero and a local hot spring, and the Diquis region allow students to experience the vast diversity and agricultural resources of Costa Rica. Students also have free time to explore on their own. Students are housed with carefully selected local families in double-occupancy rooms. This is an excellent means to practice and enhancement Spanish speaking abilities and learn about the Costa Rican culture. Daily breakfast and dinner, of typical Costa Rican cuisine and local produce, is provided at the home-stay. Laundry service is also included in the homestay. Find your rep here to discuss studying abroad.